I had a cape on (my Superman blanket). The weak gravity of Earth would not hold me down. Nothing could hold me down. My mother claims she heard the crack of bone from the other side of our suburban house. Crack! I landed. It could’ve happened. She might’ve heard it. I had to wear a cast. On the first day of first grade, in a brand new school, I was “that kid”. The one who limped. The one who had a cast. You know, the one you probably would’ve hung out with because clearly I was destined to be the coolest kid in first grade. At the end of the day I had an itch inside my cast. It was excruciating. And it was raining. The teacher, Mrs. Klecor, wouldn’t let us leave to catch our bus at the end of the day unless we could spell our names. I have a bad name for such a task. “Altucher”. I was sure I was going to miss my bus. I was the last one left. I started to cry. Because after school I was getting the cast off. But not if I couldn’t spell my name and miss my bus. Almost 30 years later I’m still Superman. I’m clumsy like Clark Kent. I have glasses. Black hair. I’m often shy in public. People often laugh at me. And, like many people, I have a secret identity that I’m hiding. One that I reveal bit by bit in this blog. But nevertheless, if I were to reveal everything I’d end up in jail or a hospital or an institution or more people would hate me than normally do or Claudia would leave me or other people would be badly hurt by those who would take advantage of the real truth. It’s my secret identity. 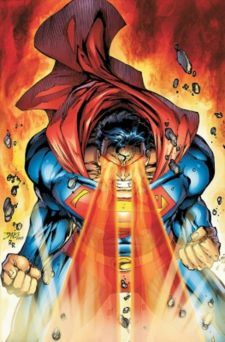 From the age of 4 to the age of 44 I’ve been reading Superman. If I weren’t writing this blog I could sit down today and write 50 sample scripts to submit to DC Comics. A) I still am Superman. It wasn’t just when I was six. 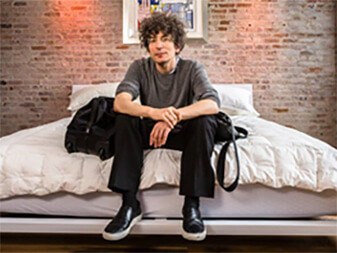 I have a secret identity disguised as the socially and physically awkward James Altucher that everyone sees but I know is not the real me. Meanwhile, if everyone knew who I really was they would be blown away by my powers. I know deep down how special I am. I’m originally from another planet, Krypton. 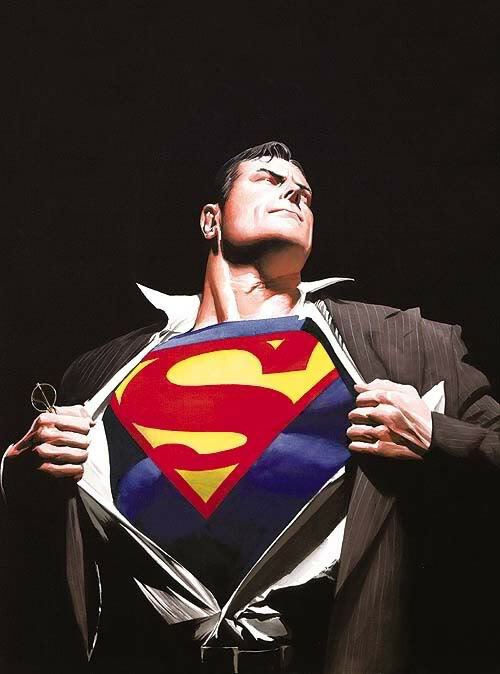 Superman’s Kryptonian name was Kal-El. Coincidentally, that is my Kryptonian name. I’m misunderstood by the people of Earth. But I don’t care. Everyday I wake up knowing I’m Superman and it makes me feel good. 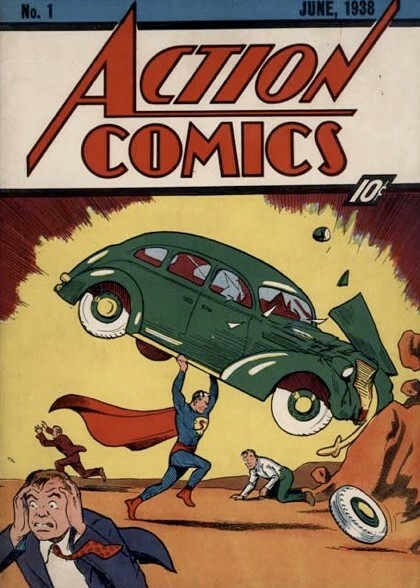 B) Superman had no useful powers. People always say Batman had no powers and Superman did. But it’s actually the reverse. Think about it: when would you ever need super strength? Are you really picking up a car anytime soon? No, of course not. Heat vision? What for? I have a microwave. X-ray vision? I can see the most beautiful woman in the world naked anytime I want. All of my neighbors are hideous even with clothes on. And we all know that women in general are sexier with skimpy clothes than totally naked. And super hearing? I already know what everyone thinks about me. I think I would be horrified to hear them say those things. What else? Oh yeah, flying. Where would you fly? And people would see you. And you’d eat flies and run into birds. Ewww. Forget it. I’m not flying. I don’t even have a driver’s license. I’ll walk. Or take a train and watch a movie on my ipad. Oh, and bullets don’t affect Superman. To be honest, nobody has ever shot at me so this doesn’t seem like a useful power to me. But just knowing I’m Superman, with secret powers, is enough to make me happy. I AM Superman. I’m above the worries of Earthlings. And I believe that with everything inside of me. That’s my secret. The secret has power. C) Every day I wake up and say, “I’m going to save a life”. All day long I look for situations where I can save a life. And I do it. Every day I save at least one life. Today I probably saved five lives. And I feel good about it. Try it. Wake up tomorrow and say, “I’m going to save at least one life today”. Even helping an old woman across the street counts. Even responding to an email and helping someone make an important decision saves a life. Even reaching out to a distant friend and asking “how are you doing” can save their life. You can save a life today. Don’t let the sun set without doing that. You are Superman. D) Yoga. Superman is the ultimate yogi. Not because of any flexibility. He’s probably not very flexible actually because his joints and muscles are super tough. But he follows very well the basic precepts of yoga. He doesn’t harm anyone, despite his capability of easily doing so. He doesn’t lie (other than his secret identity, which he holds onto so others aren’t harmed). He’s never possessive (why be possessive of anything if he can have anything he wants anytime he wants – like me). He practices “brahmacharya” – a form of celibacy or self-control, outside of his relationship with the beautiful Lois Lane. Even Napoleon Hill in his classic, “Think and Grow Rich” has an entire chapter on this. Superman also seems to have “santosha” / contentment. He never seems obsessed with grudges from his past. I’ve never seen him worry about his future. I haven’t always been Superman in this respect. But now I am. And NOW is all I care about. E) All of his friends are superheroes. The Flash. Black Canary. Wonder Woman. Batman, etc. They all have secret identities. They all see a world totally out of balance. They all have powers they use for good, that they use to bring balance back to the world. All of my friends are superheroes also. Each one of my friends has a different power. But they are all amazing powers and I’m blessed when I see those powers in action. And once someone joins the bad guys they are no longer my friend. I’m busy saving lives. I don’t need bad friends. I’m 44 now. I no longer need to jump off a bed to prove I can fly. I know I’m going to save a life today. And nobody’s going to figure out who I really am. But I will tell you this. I’m Kal-El and I’m from the long dead planet Krypton.